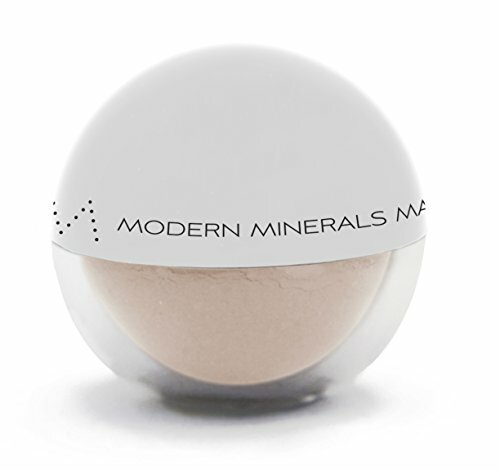 Why we love it: Modern Minerals has created a beautiful collection of illuminating, universally flattering, neutral eyeshadows that give the perfect finishing touch to your everyday look. Infused with rose petal, honeysuckle and Vitamin E extract, these eyeshadows not only give a gorgeous wash of color, but also provide natural hydration to the eyelids. Apply to eyelids, brow bone, and/or lower lash line with a fluffy or tapered eyeshadow brush. Available in 6 colors. Mica, Caprylic/Capric Triglyceride (coconut derv.) and Lonicera Japonica (Honeysuckle) Extract, Rose Extract and Tocopherol (Vitamin E). May Contain:Titanium Dioxide (Cl 77891) and Iron Oxides (Cl 77492, Cl 77491, Cl 77499, Cl 77489), Ultramarines (CI 77007), and Maganese Violet (CI 77742).